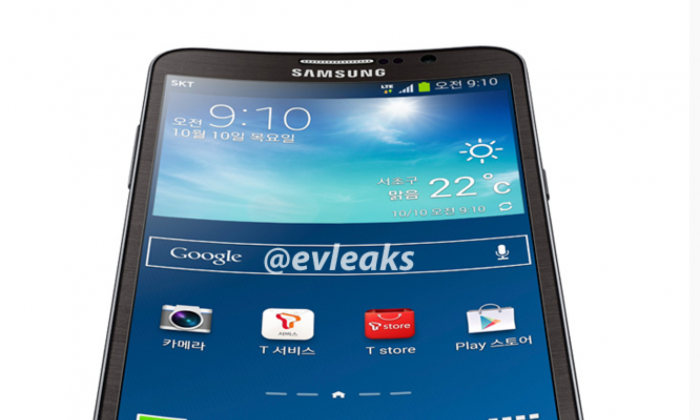 This month, Samsung unveiled its curved smartphone, and photos have leaked of one from LG. Samsung was first with the Galaxy Round, which sits comfortably in your hands, and LG followed suit with their soon-to-be released G-Flex. Although both devices are not technically “flexible,” they are the ones heralding a new era of bendable technology poised for enormous growth in the coming years, according to experts. While the Galaxy Round curves from the sides, the G-Flex is shaped like a banana, curved from the top to bottom. The design for the Round was to enable ergonomic positioning in the hands. LG’s explanation for the curve was increasing comfort while speaking, with the phone fitting snugly over the face. The Galaxy Round features an impressive 5.7 inch OLED HD display with users able to access information through tilt and tap based interactions. Features like battery life, date, time and missed calls can be viewed by pressing down one side of the phone, without having to wake up the home screen. Bounce UX lets you fast forward audio tracks by tilting to either side. Similar to the Note 3, the Round has incorporated a one-handed mode where you can reduce the size of the screen to perform all functions using just one hand. An option for multitasking apps is also available. The internals of the Round consist of a snappy 2.3 GHz quad-core Qualcomm Snapdragon 800 processor, 13 MP Camera, 3 GB RAM, running Android 4.3, and with 2,800 mAh battery. It comes initially in a “luxury brown” color and costs 1.9 million won (about US$1,000). Some users of the Galaxy Round have found talking on the phone to be an awkward experience given the phone’s shape. Currently available only in South Korea, Samsung is checking the market feedback before rolling out more such devices in international markets. The LG G-Flex sports a larger 6-inch screen. Reportedly leaked pictures reveal G-Flex carrying buttons in the back, which reportedly increases battery life and space. Other details regarding specifications are yet to be released by the company, which is busy mass-producing bendable smartphone parts for manufacturers. The phone is set to “roll out” in November right after the Nexus, 5 which is expected later this month. Both Samsung and LG have already released televisions having curved OLED displays. These supposedly improve viewing experiences by immersing the viewer within the video. Bendable screens can potentially revolutionize the market through unbreakable plastic displays. LG has spoken of bendy batteries and other plastic substrates. Although these models are indeed visually alluring, they do not provide much benefit to the user at present. Now if we just wanted a curved phone, we could have bought the ’90s miracle Nokia 8110, right?